Apparently intellectuals, who held crucial responsibilities in their professions, are thronging to Janasena political party lately. Needless to say, Power Star Pawan Kalyan's ideology, democratic attitude and his morale made the top bureaucrats and other skilled personalities joining the party. 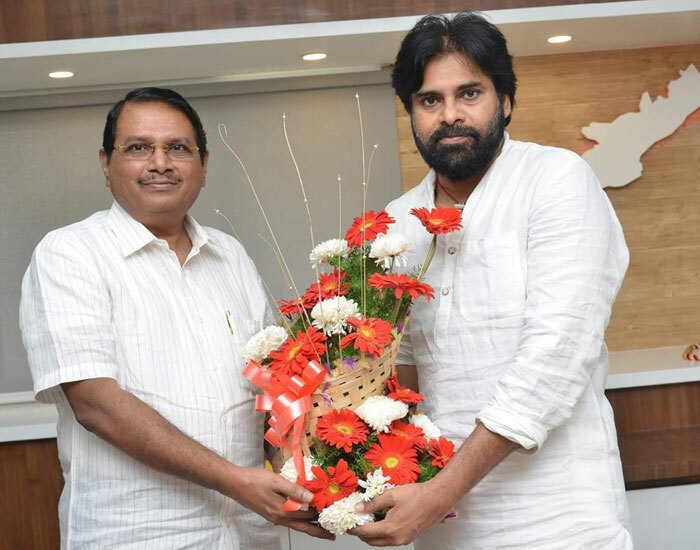 P Ram Mohan Rao, who served as chief secretary of Anna DMK governemnt, assumed the most crucial responsibilities of Pawan Kalyan's political adviser. "As he being a number one hero in film industry, he could have earned crores of money. But then, he sacrificed all his luxurious and entered politics to serve people which impressed and prompted in joining Janasena. I want to see him as a chief minister and I try my best in achieving the target," P Ram Mohan Rao said.